Tollsmart Announces that Trucks are Supported in Newest Version of the Tollsmart Toll Calculator App for iPhone, Android and Desktop. 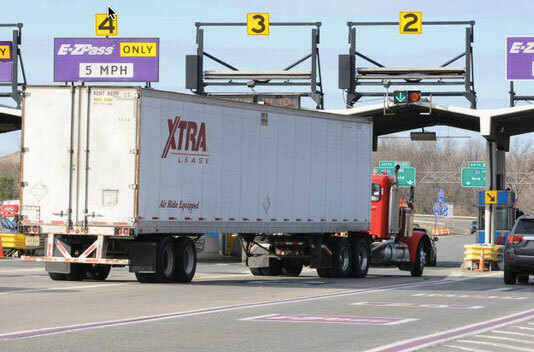 To coincide with the 2015 American Trucking Associations conference, Tollsmart, LLC is excited to announce that the latest version of the Tollsmart Toll Calculator app now supports all vehicle sizes, including trucks up to 9 axles. This has been the most requested feature from users of the app since launching the Tollsmart app in April. This new version, which covers all tunnels, bridges and road tolls in the US and Canada, is NOW AVAILABLE for download in iTunes and Google Play and on the web as well. Dear Tollsmart Customer Support, I am a truck driver and your app does not calculate tolls for 18-wheelers. If it did it would be perfect. This past summer the Tollsmart app was one of the most popular navigation apps in the Apple's App Store and Google Play as for the first time ever travelers could view the full cost of tolls along routes and find alternate routes to save money. Now the team at Tollsmart is delighted to extend this capability to a whole new audience who make their living on the road and who have been eagerly awaiting a version of Tollsmart that calculates tolls for commercial vehicles, including larger vehicles like tractor trailers. Dear Tollsmart Customer Support, do you have one of these apps for 5-axle trucks? I would really appreciate it. Thanks! This new version also highlights a major platform enhancement we've made to Tollsmart that enables users to add and store multiple vehicles into the app, so a trucker will be able to store both an 18-wheeler as well as cars they drive for personal use in the same app, and easily toggle between them. And it's not just trucks that are supported, this new version of Tollsmart supports all types of vehicles from buses and RVs to limos and motorcycles. Dear Tollsmart Customer Support, please add semi truck as an option for toll configuration as lots of truckers would buy this app. The default setting for the Tollsmart app remains 2-axle non-commercial passenger vehicles, so to add other vehicle sizes simply tap on the Options menu at the bottom of the main screen and select 'Set Vehicle'. The new service is priced at a low introductory monthly subscription rate of $2.99 after a free trial period. Once acceptance of the trial period is confirmed, you'll be able to enter and save your vehicle information for multiple vehicles. Please note that the Tollsmart app does not provide truck-specific routing, so it is up to the user to select which routes are appropriate for the size of vehicle they are driving and cargo. Dear Tollsmart Customer Support, I am a truck driver. This app would be great with a selection for the number of axles. We're thrilled to deliver something so many people have asked for and are eager to hear what you think so please let us know by sending feedback through the Tollsmart app or leaving us feedback on our website here.